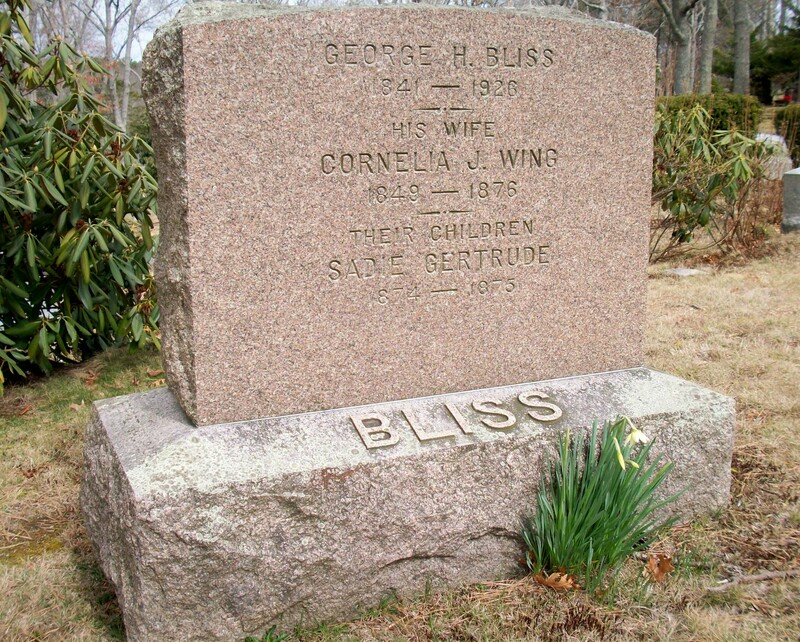 Ancestry: Joseph Bliss, Capt. ; Timothy Bliss, Jr.
Born: August 6, 1841 in Royalston Ma. Died: November 1, 1926 in Milford Ma. 1. Sadie Gertrude Bliss; (1874 – 1875); Sadie died in Milford Ma. ; The Milford town records show she died on February 11, 1878 at 6 mos, 25 d.; She is buried in Cataumet Cemetery with her parents. 2. 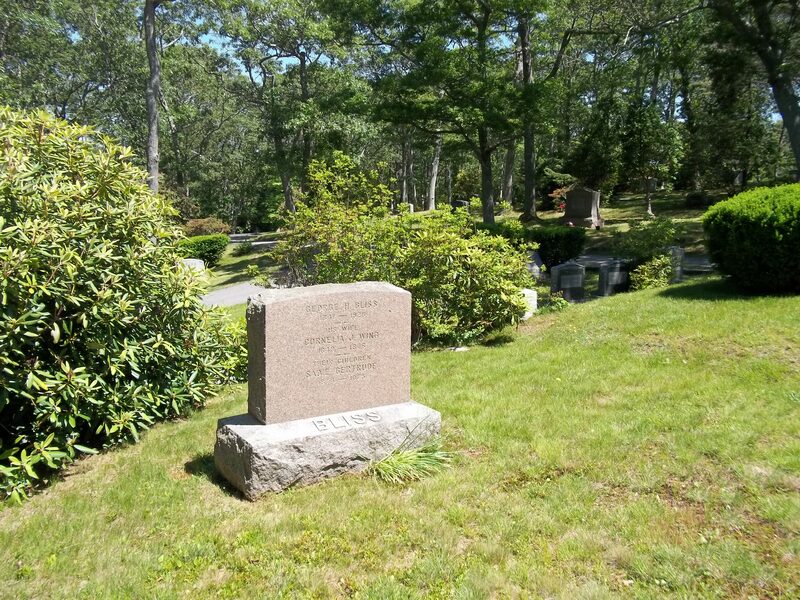 Nellie May Bliss; (January 2, 1876 – April 4, 1947); Nellie died in Bourne Ma. at 71 yrs, 3 mos, 2 d.; She is buried in Cataumet Cemetery with her grandparents, Nathaniel Wing, ll & Hannah Snow (Burgess).